Welcome new students! Explore the Museum's galleries and be the first on campus to see our new exhibitions. Try the Scavenger Hunt Selfie Challenge to win a free poster. Bring your phone to take the Selfie Challenge (or borrow one from Museum staff!) -- our favorite selfie will win a very special prize! 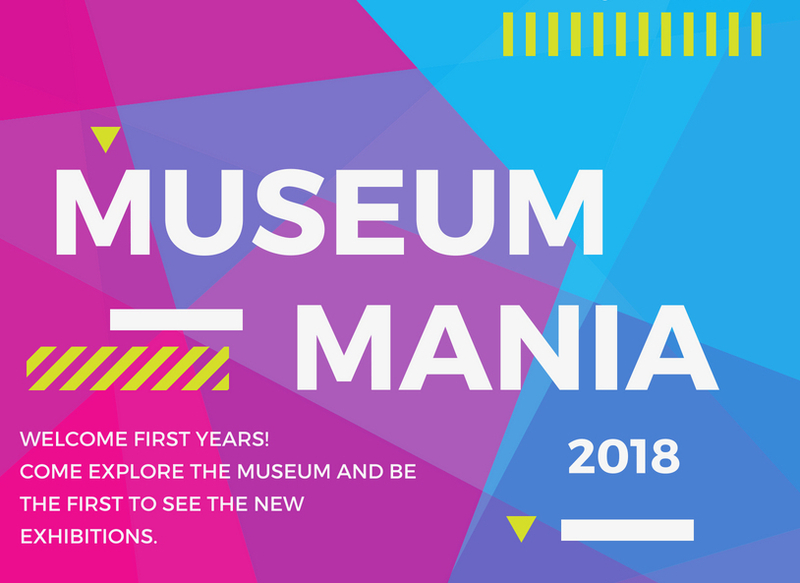 The scavenger hunt and selfie challenge start at 2:00 p.m. Prizes, refreshments, and info about the Museum’s programs and opportunities for students begin at 2:30 p.m. in Gamble Auditorium. Those unable to attend this event may stop by the museum between 9:00 am and 5:00 pm until Friday, September 7 to pick up a poster and museum information.